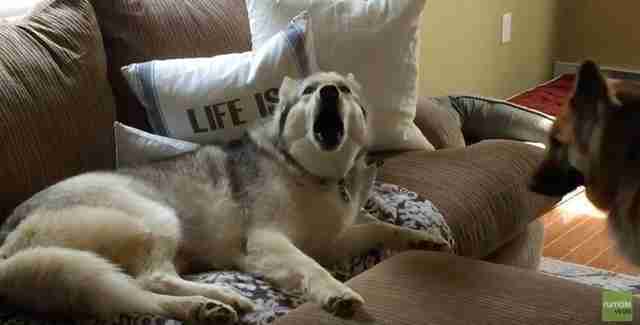 Zeus the husky is at it again ... but this time, his antics actually worked. ... and he does it when he wants to stay on the couch. During one of Zeus's recent bathtub tantrums, though, his mom finally decided to give in and give him what he wanted. She turned on the water. "Why do you always do this?" Zeus's mom asked him. 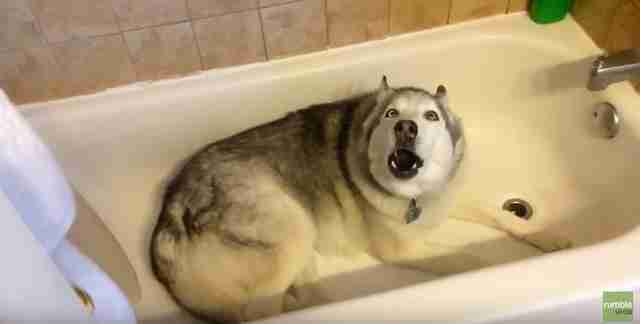 Zeus's only response was to keep howling ... until his mom turned the magic knob on the tub, and Zeus got exactly what he wanted. Zeus immediately started drinking and playing in the water, and I'm sure he's thinking, "See, that wasn't so hard, was it?" ... and the second time.